Etz Chayim Synagogue , founded in 1964, is located in the heart of Southeast Huntsville, at 7705 Bailey Cove Road. We are a congregation of approximately 60 families. 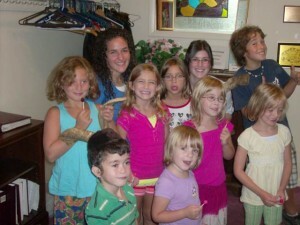 When entering Etz Chayim you will find a warm welcome with a great mix of Southern hospitality and Conservative Judaism. We usually have one Rabbi who makes about 9 visits during the year, and currently we have Rabbi Stephen Listfield visiting our congregation. Please check the Home Page for the exact dates of the Rabbi Shabbatons. Are you in town for business? Thinking about moving to Huntsville? Interested in learning more about Judaism? You are welcome to join our Shabbat services on Friday night and Saturday morning. Check our monthly newsletter, the Shofar, for special events and news, or if you need more information please contact info@etzchayim-hsv.org.